What time is it ? – Paroles de la chanson dans “High School Musical 2”. 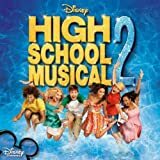 Interprétée par Zac Efron, Vanessa Hudgens, Ashley Tisdale, Lucas Grabeel, Corbin Bleu et Monique Coleman. That’s right, say it loud. School’s out, scream and shout. Good to be chiilin’ out. Now my girl’s what it’s all about. Ready for a summer romance. Everybody ready, going crazy, yeah we’re out. Come on and let me hear you say it now, right now. I’m free to shop till I drop. And the party never has to stop. We’ve got things to do. And we’re really gonna miss you all. Goodbye to you and you. Bye bye until next fall. Everybody ready going crazy yeah we’re out. Come on and let me here you say it now right now. No more wakin’ up at 6 am. ‘Cause now our time is all our own. Enough already, we’re waiting come on let’s go. School pride lets show it. The champions we know it. When it’s time to win we do it. We’re number one we proved it. That’s what the summer’s all about. We wanna hear you loud and clear now. We can sleep as late as we want to. Now we can do whatever we wanna do. Come on and say okay now.